just one of the cool, inexpensive ways in santa monica to wind down from your work week and rev up for the weekend. i hate to admit i've yet to make it to the pier to catch a concert but i've heard nothing but good so it's on the list. thanks to katie and lauren who made it their mission to go and bring us back the skinny on it! 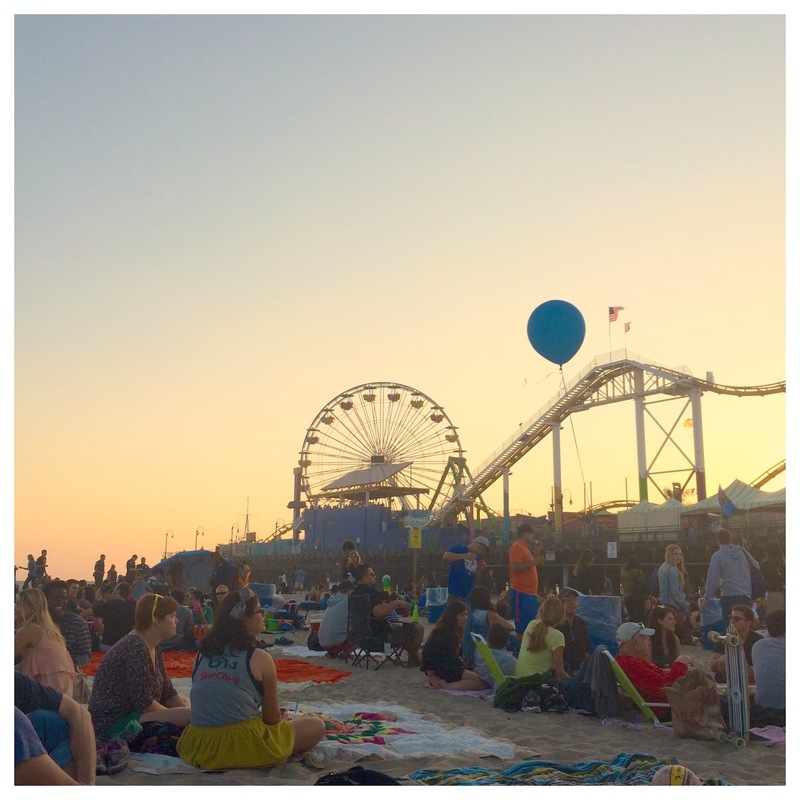 santa monica's twilight concert series may be as equally anticipated as coachella for westsiders. the free thursday night concerts are the best way to start your summer weekends just a little bit early. pack the essentials (wine, bread and cheese) and a few beach blankets to lounge on and you're set! we love to stop by the market section of santa monica seafood for fresh shrimp cocktail and poke that are easy to pack in your picnic basket. nothing is better than eating seafood in view of the ocean! for something a little more substantial, bay cities italian deli (gaye's favorite!) has mouthwatering subs to feed a crowd. 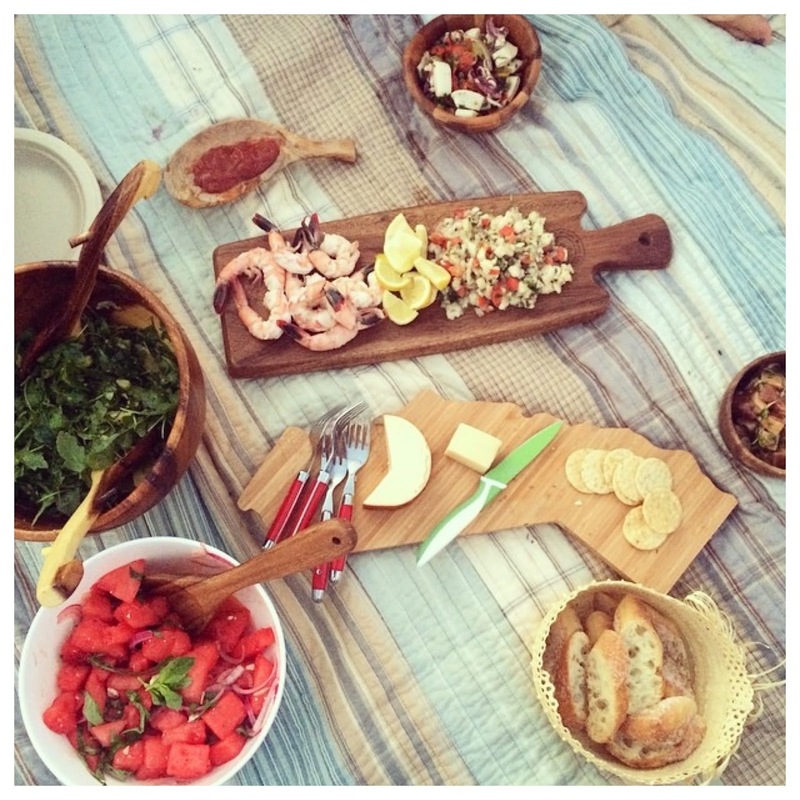 if gathering your own picnic items still seems like too much work, let farmshop come to the rescue with their picnic takeaway for four, which includes everything you need from gourmet appetizers through dessert. 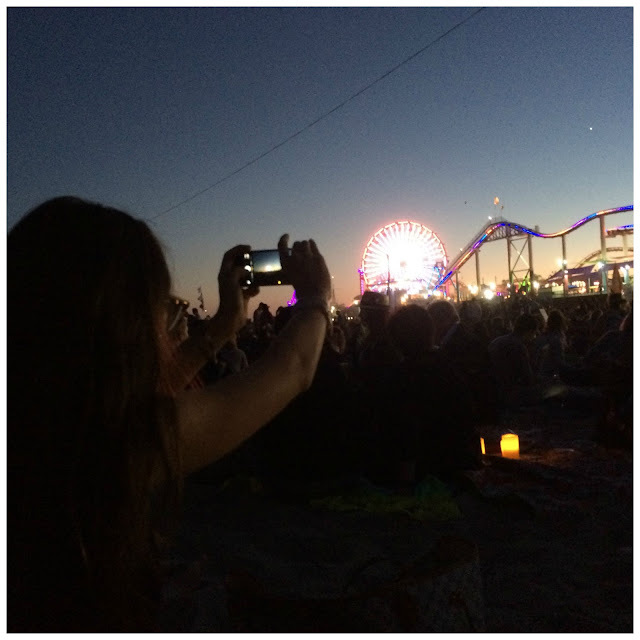 no matter what you end up bringing, the fresh air and concert tunes instantly put you into the summer state of mind.